Easily manage your organization’s implementation of the NIST Cybersecurity Framework with ComplyAssistant’s software and consulting. 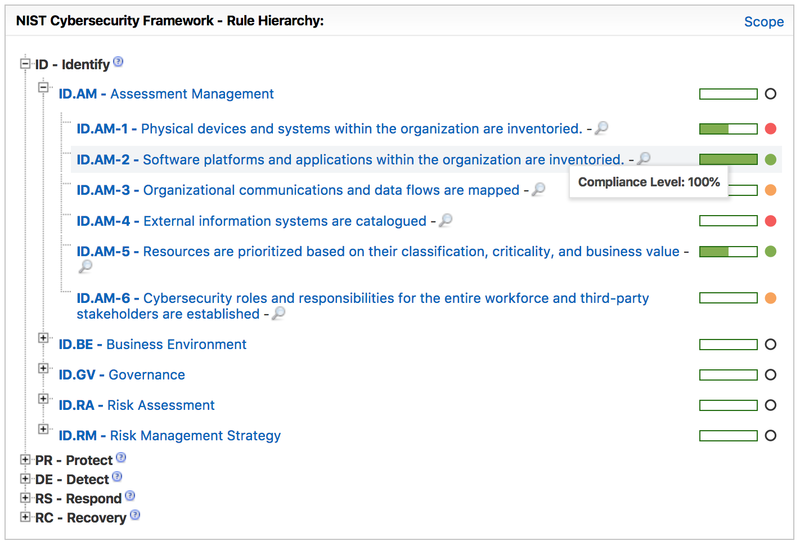 Is your organization using the NIST Cybersecurity Framework to manage risk? Or are you considering the NIST CSF in addition to HIPAA, HITRUST and others? The NIST Cybersecurity Framework is flexible for any type of healthcare organization, and focuses on 5 areas: Identify, Protect, Detect, Respond and Recover. Designed to help organizations better understand, manage and reduce cybersecurity risks, the NIST CSF offers a common language and structure so teams throughout an organization can understand and more easily implement security protocols. Even with guidance from the NIST Cybersecurity Framework, you may need a solution to help you manage all the details – from risk rating and analysis, to evidence documentation, to action planning and task assignments. ComplyAssistant offers a comprehensive healthcare compliance software solution that does just that, and more. Using our compliance software, you can perform a complete risk analysis, both for your organization and for third-party vendors, based on the NIST Cybersecurity Framework. You’ll be able to rate your organization and third-party vendors on risk level, and identify high-, medium- and low-risk areas. Using your risk ratings, you can then start to manage areas of risk throughout your organization and among third-party vendors. We recommend starting with the highest risk levels first, and working your way down the list. Our compliance software flags high- and medium-risk areas to make it easier for you to manage. How many documents on policies, procedures and evidence does your team manage? 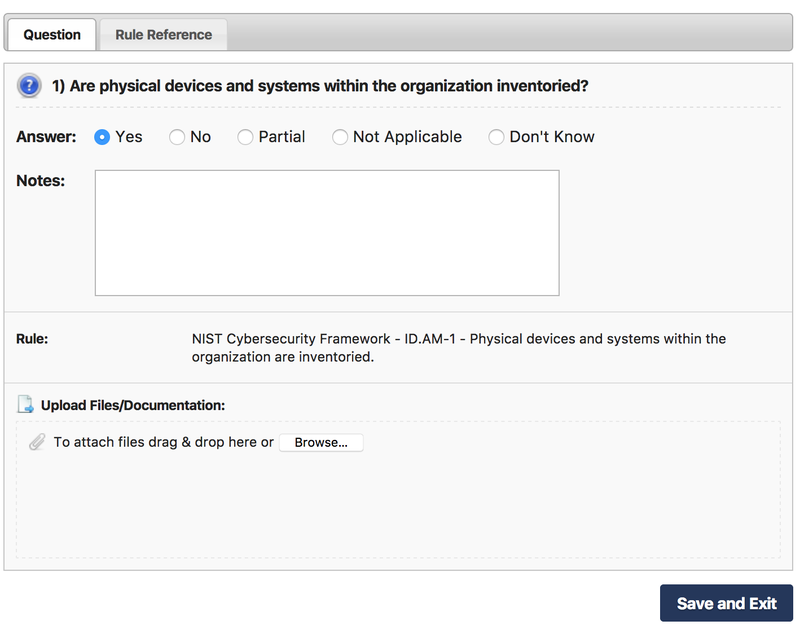 Did you know that vendor risk management is now included in the NIST CSF? How do you manage your third-party vendor contracts? Is institutional knowledge walking out the door when people leave your organization? Our compliance software gives you an easy, more effective way to manage the hundreds of documents related to cybersecurity. It becomes your single source of truth for documentation under the NIST Cybersecurity Framework. With all of the policies, procedures and evidence documentation required under your organization’s compliance protocols, along with vendor contracts, managing your program using the NIST Cybersecurity Framework can be overwhelming. Our software is an easy-to-use project management solution, helping you manage action plans, tasks, notifications and more. 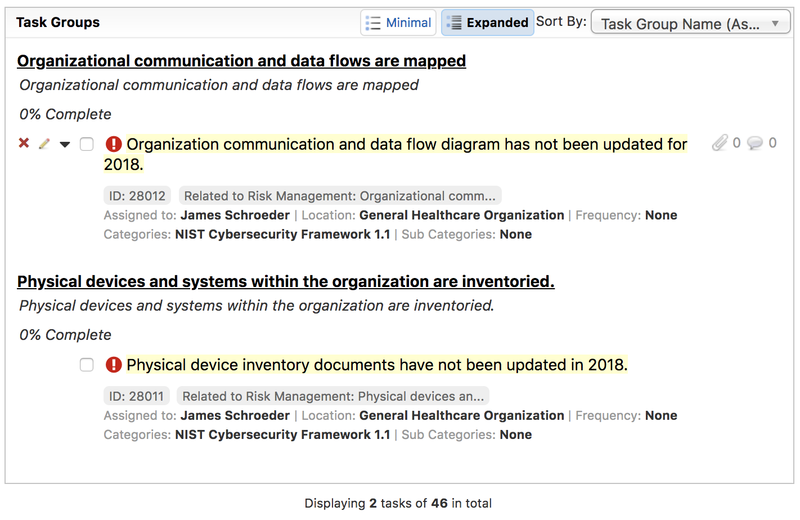 To keep track of progress towards your NIST program, our compliance software includes a summary dashboard. You can view and report on various components throughout the process. While the NIST Cybersecurity Framework is designed to be flexible and relatively easy to follow, having a subject matter expert who can guide you through the process is helpful, especially if you’re also implementing a compliance management software, like ComplyAssistant. Our innovative healthcare compliance consulting experts can guide you as you implement the NIST Cybersecurity Framework – an all-in-one solution just for you! Ready to see how our compliance management software can help you manage NIST? Is the NIST Cybersecurity Framework right for you? Check out this blog post on what to consider.